The cold season doesn’t dampen the spirits of visitors coming to Silver Dollar City in Branson as it features indoor activities that give more fun and excitement. With mild winter temperatures, you can always have the chance to enjoy live entertainment shows, exciting attractions, shopping and fine dining. Don’t let the winter blues spoil your day, visit Silver Dollar City for some winter fun activities. The holiday season in Branson features great display of five million dazzling lights, holiday treats, Broadway-style shows, and the glittering five-story Christmas Tree. Regardless of what fun activity you want to enjoy, your experience at Silver Dollar City will create memories your family will cherish forever. 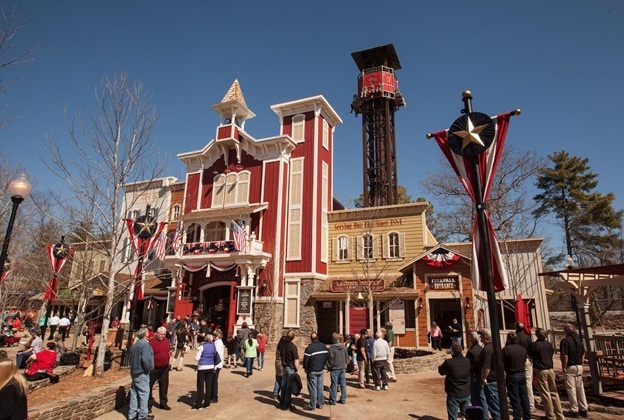 As one of the most visited Branson attractions in the Ozarks, Silver Dollar City can be an amazing option for your children where they can play very safely in its Indoor Playground and still have a lot of fun. Taking your children to the Indoor Playground at Silver Dollar City offers many advantages. The Indoor Playground is cleaner, safer, better supervised, and offers more fun and excitement for both you and your children. Visiting Indoor Playground is a great way for your kids to make new friends as well. Taking children to Silver Dollar City Missouri Indoor Playground means that they do not have to deal with as much dirt and other disturbing things from outside. The Indoor Playgrounds are regularly cleaned and sanitized, so there is less risk for your kids to catch a cold or coming into contact with outside bacteria that can be caused from an outdoor playground. There’s nothing to worry also about things such as animal dander or other germs on the ground. The indoor playground is great for kids with allergies or for parents who don’t like the outdoors during the cold season. The Beuttell Indoor Playground at Silver Dollar City is great for all season as well. Since it is inside, you don’t have to worry about the hot weather during summer. The playground is perfect to enjoy the fun no matter the temperature or the precipitation outside. With indoor playground, you won’t disappoint your kids if you have promised them a trip to the park even if it is raining. Playing in the Indoor Playground is also a lot safer. When the area is enclosed, it is much easier for parents to keep an eye on their children as they play. As the Indoor Playground is a secured area, you can feel more relaxed knowing that your child can play with their friends without having to worry too much. The Indoor Playground monitors visitors with stamps or bracelets that group you with your child. This makes impossible for someone to grab your child because there are employees who check the stamps or bracelets before any child can leave the playground. To enjoy the winter fun at one of the most entertaining Branson attractions in the Ozarks region, visit Silver Dollar City which provides more fun and excitement with its indoor activities.